Football and 5 Kilograms of Gold! On 15 July 2018 the XXI World Cup in football ended, which was held in Russia. Champion this time was the national team of France. The captain of the French team proudly raised the FIFA World Cup Trophy over his head. The World Cup Trophy is a passing major prize, which is awarded to the winners of the FIFA World Cup held under the aegis of the Fédération Internationale de Football Association(FIFA). 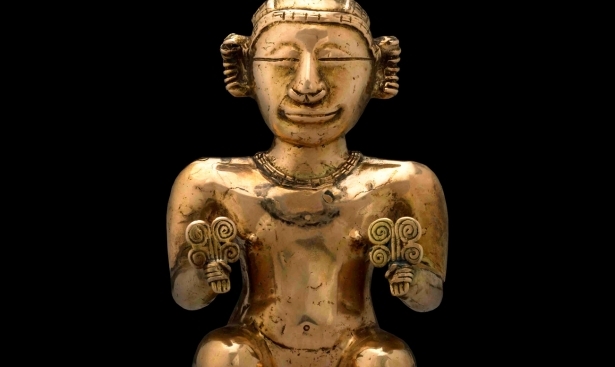 It is made of 18-carat gold and is a gold statuette of two human figures that prop up the globe. The base of the cup has a diameter of 13 centimetres and is decorated with two malachite rings. On the photo: the precious prize created according to the sketch of the Italian sculptor Silvio Gazzaniga, was first presented at the World Cup in 1974 to the captain of the German national team. The cup has a height of 36.5 centimetres. The total weight of the figurine is 6.175 kg. The net weight of gold in the cup is 5 kilograms, which is 160.75 troy ounces. According to the current data of the gold market, the cost of one ounce of yellow precious metal has stopped today at around 1244 US Dollars. By simple calculations, you can determine that the current cost of the FIFA World Cup Trophy is 199,973 US Dollars. 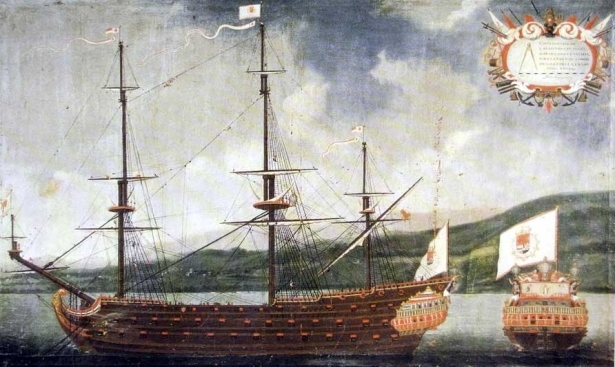 Since the creation of the cup, the price of precious metal has increased by 12.5 times. 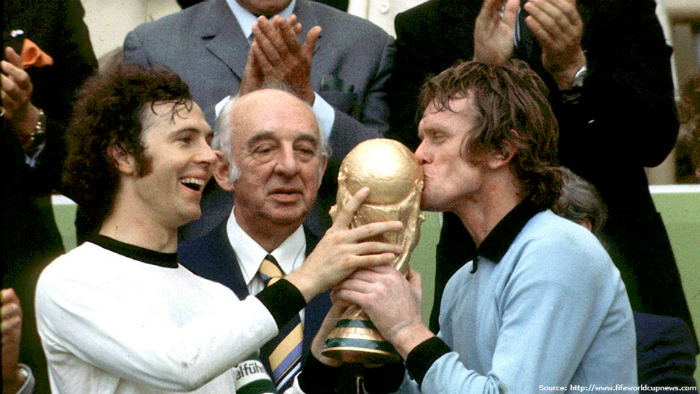 In 1974, the cost of the golden World Cup Trophy was 16 thousand US Dollars. Until 2006, the Gold Cup Trophy was transferred to the storage of the football federation of the winner country. Then the rules have changed. Now, the winners can touch the real golden World Cup Trophy only once - right after their victory at the World Cup Tournament. As a reward, the winning team receives a gilded replica of the cup. 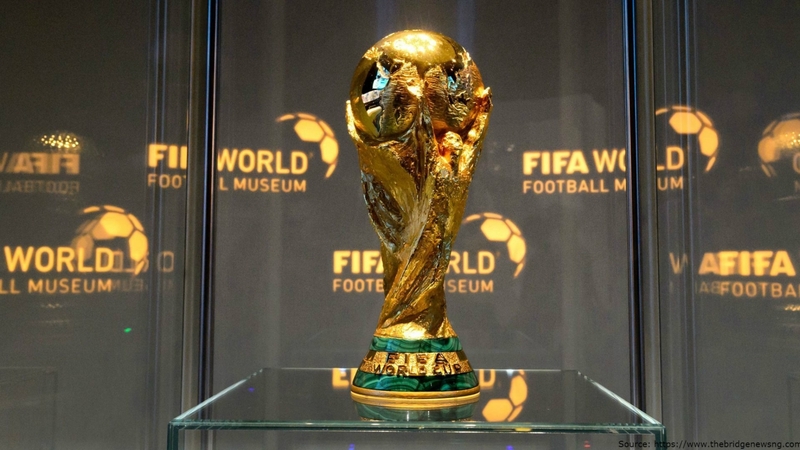 The FIFA World Cup Trophy is on permanent storage in the FIFA World Football Museum in Zurich, Switzerland. Interesting fact: On the gold plate located at the bottom of the cup, the names of the winning countries and the year in which the national team of this state became the champion are engraved. As reported by FIFA, the place for the entry of new champions will end in 2038. 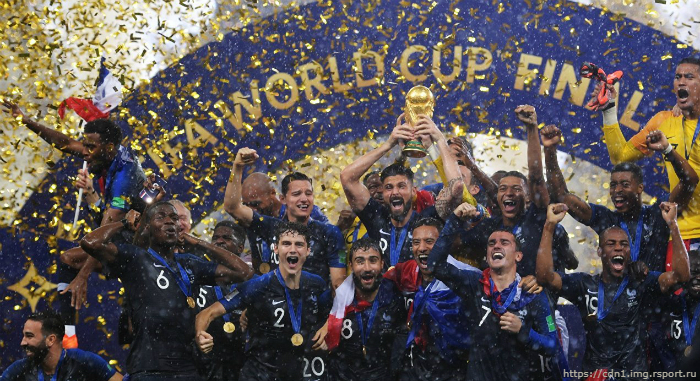 On the photo: National team of France - the winner of FIFA World Cup 2018. The price of gold has been going up and up. This is a reliable and liquid asset, which protects your money from depreciation and helps increase personal capital. Yellow precious metal is a guarantor of financial stability and inner quietness. 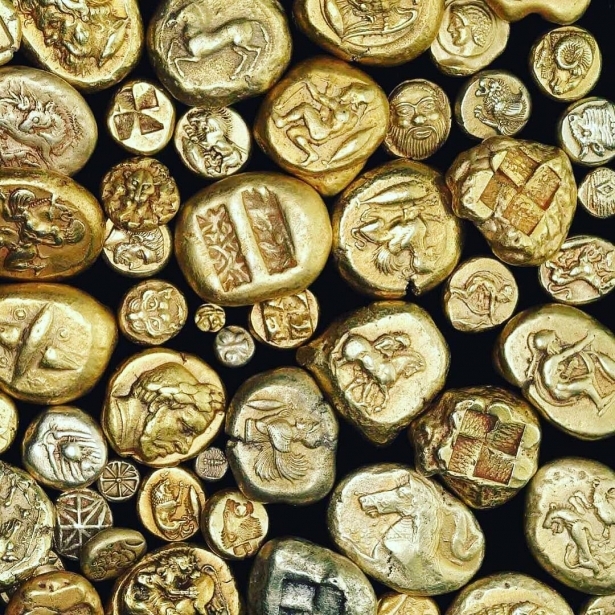 Gold is the foundation of Financial Security. Get gold bars, ensure yourself a decent future!